WHY NOT HELP IN YOUR LOCAL MUSEUM? Our Volunteers care for the collections and manage every aspect of running the museum. 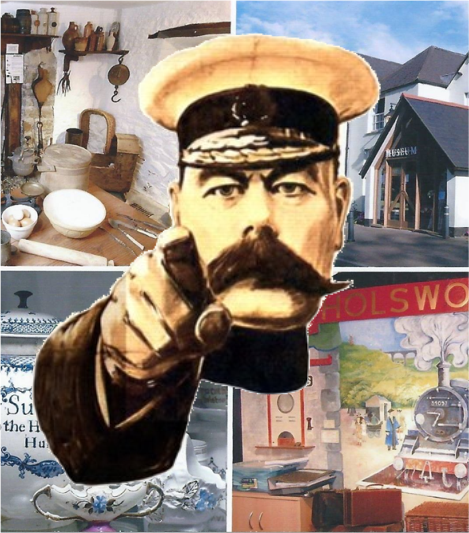 So, if you like meeting people and have an interest in your town and its history why not get involved? Are you a keen photographer? Perhaps you have transferable financial, admin, marketing or computer skills? Holsworthy Museum is run and managed entirely by volunteers - we have no paid staff - without our volunteers we would be unable to remain open. WHY NOT DROP US A MESSAGE ON OUR CONTACT US FORM, OR DROP IN AND SEE US?